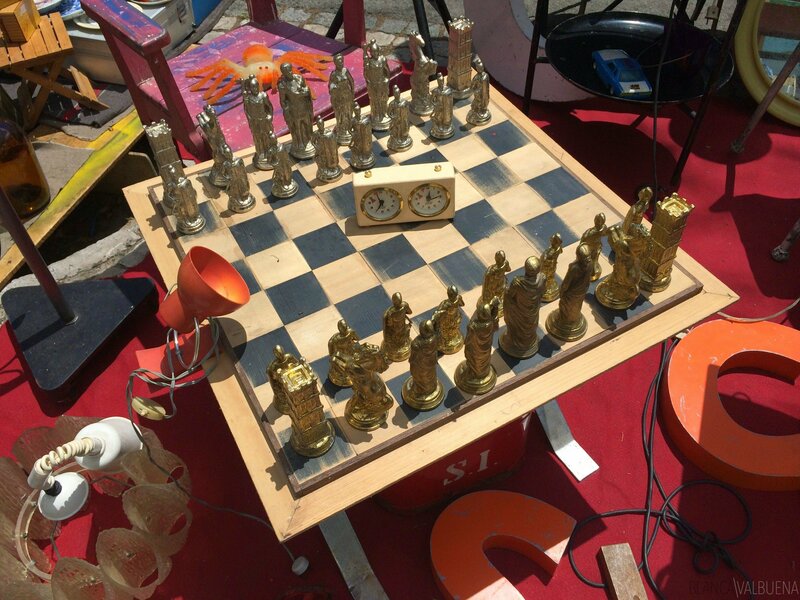 If you’re coming to visit Lisbon and want to take home your not-so-average souvenirs, then you need to visit the Feira da Ladra, Lisbon’s Flea Market. Most people think it’s named after thieves, but it’s actually named after the ladro a bug that is found in old furniture. This is the place where you can find a spare charger for your phone, hand-made clothes, and gorgeous antiques. IT’s been around since the 12th Century. Let me be honest, there’s a lot of crap here, but there are plenty of beautiful things to purchase. 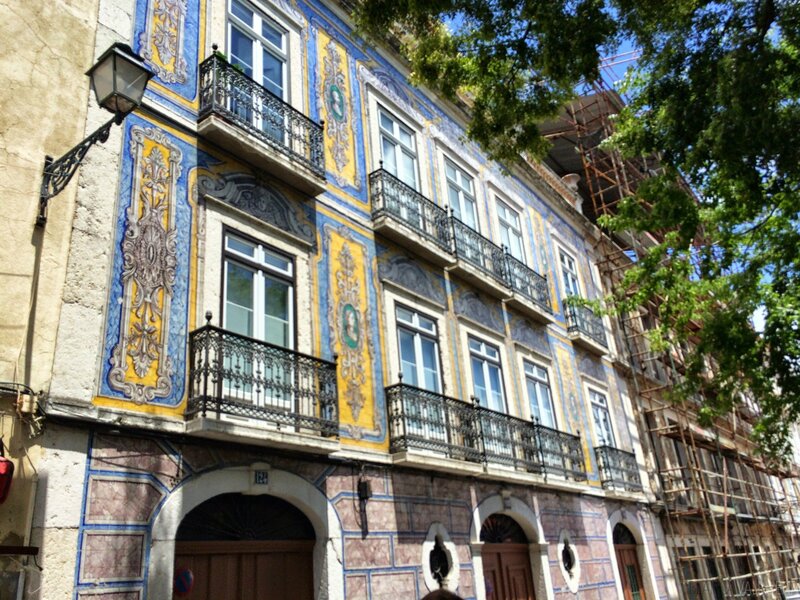 It also makes a great excuse to visit the Alfama and the Pantheon. There’s also a closed market where you can get a cheap and delicious meal while you take a rest from shopping. 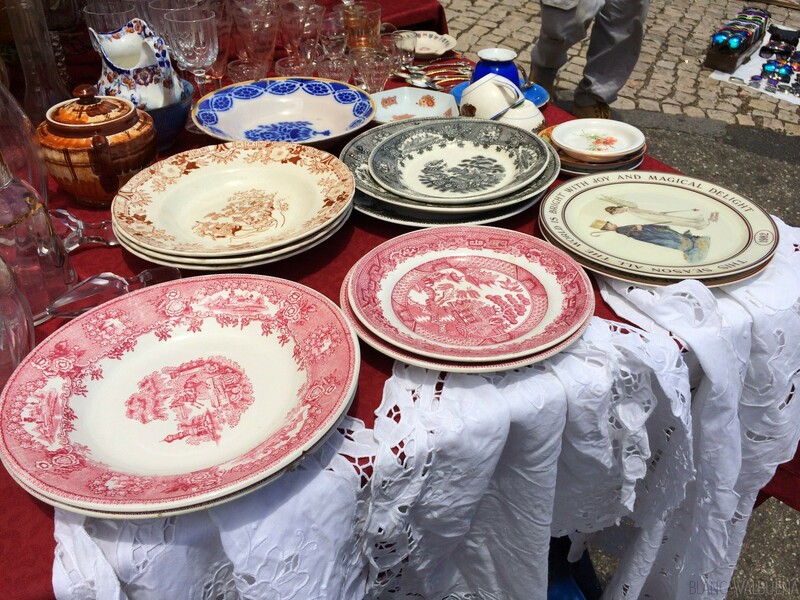 If you are moving to Lisbon and need to buy gorgeous dishes for your house, you can get some spectacular antique plates at the Feira da Ladra. 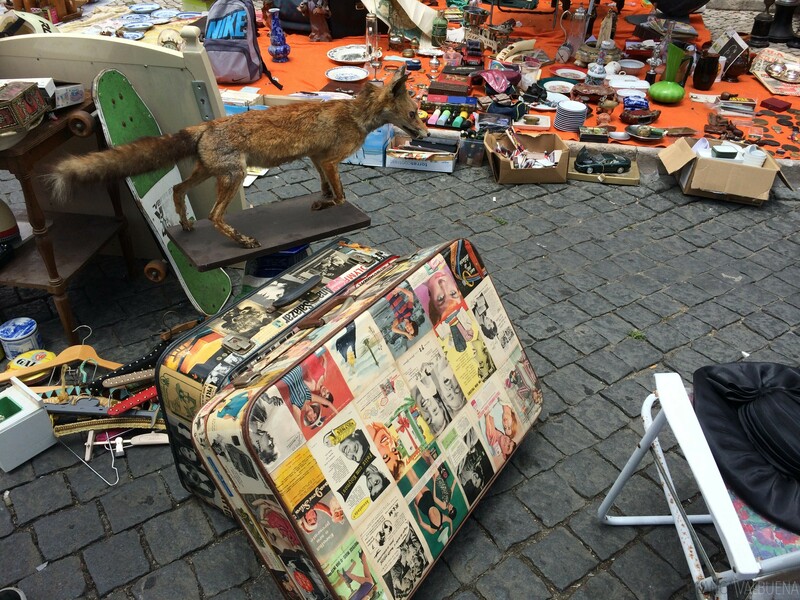 The Feira da Ladras is a place where you can get truly unique items like the collage bag above and a taxidermied fox. 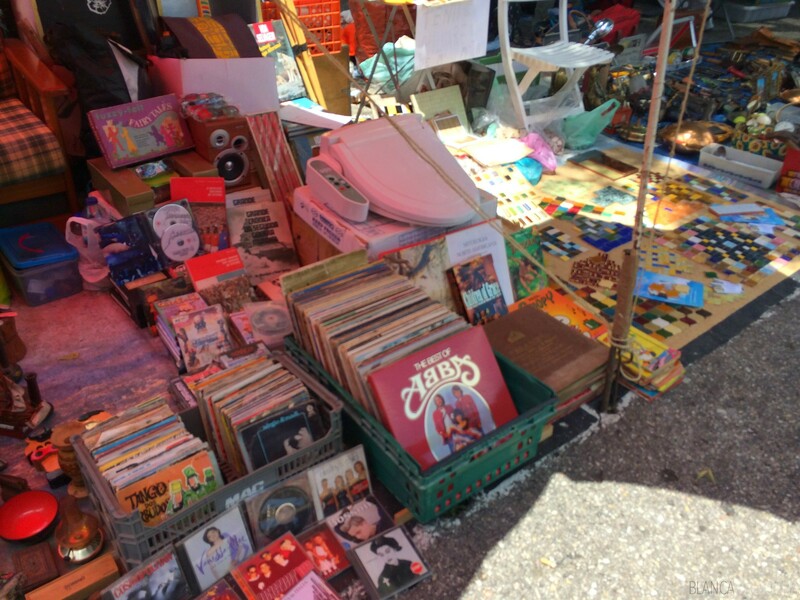 If you’re looking for music, there’s plenty of it in all formats at the feira da ladras. 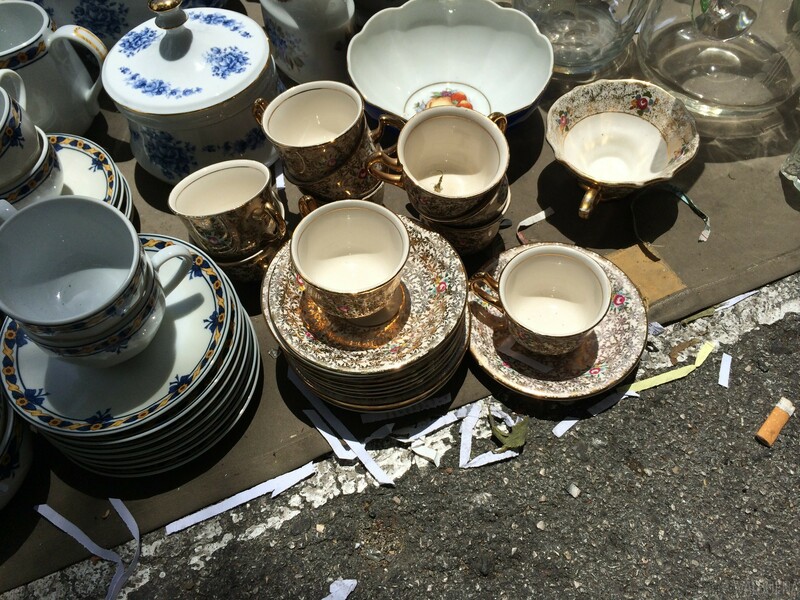 There are all kinds of flatware, stemware, and dishes at the feira da ladras. 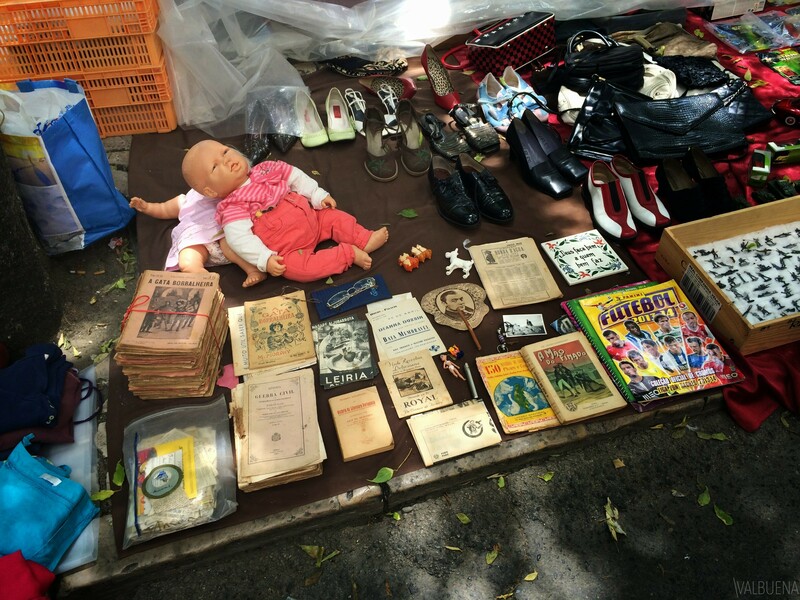 You can really find tons of special things, even antique games and lamps. 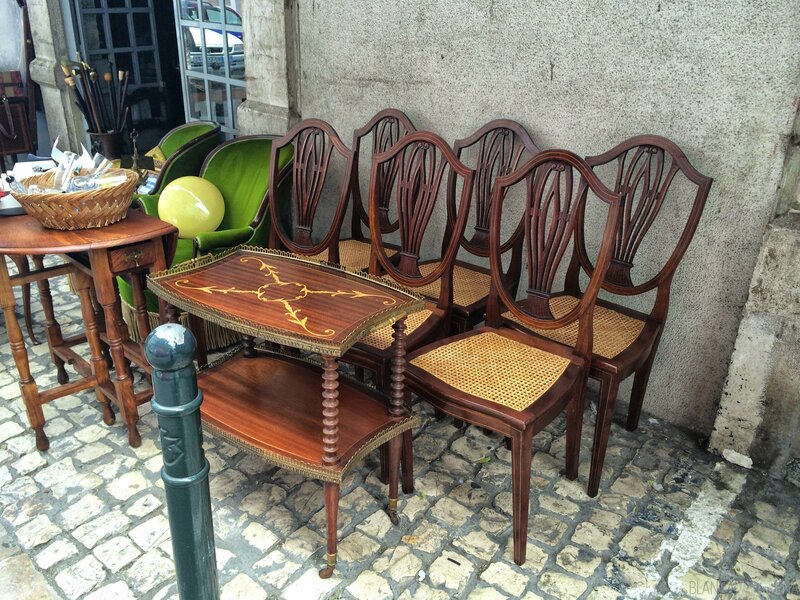 The feira de ladras has both antique furniture sellers as well as shops from custom furniture makers. 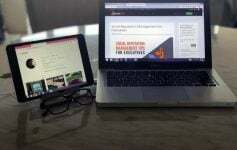 It’s a great place if you’re furnishing a new place. 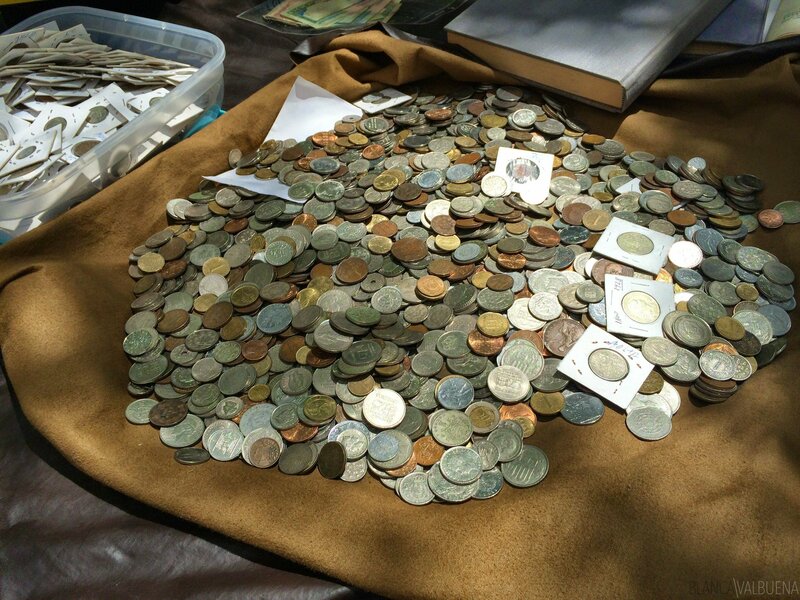 If you are a coin enthusiast, there are plenty of merchants for you to see in Lisbon’s flea market. You can find all kinds of books, magazines, toys, and clothing too. Where: Campo de Santa Clara in the Alfama, behind the National Pantheon.